It’s day two of Simplified Bee’s 5th year anniversary giveaway week! 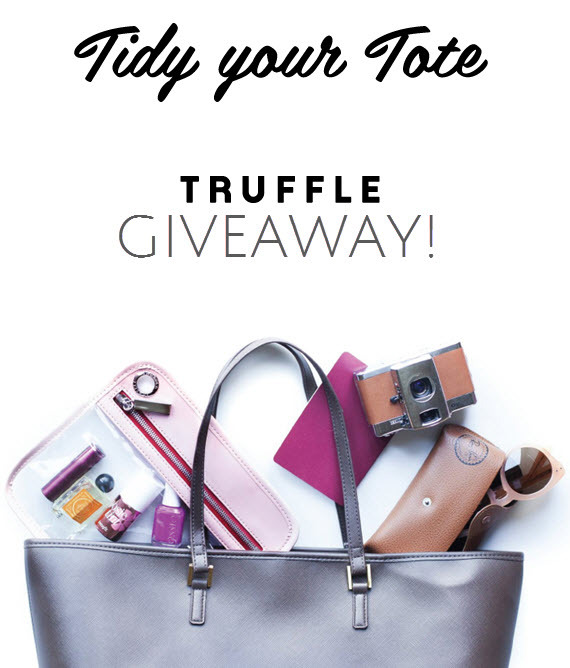 Today’s fabulous giveaway is provided by Truffle. The San Francisco-based company creates super chic pouches that are highly functional, versatile and reusable – perfect for keeping your purse, backpack or luggage organized. 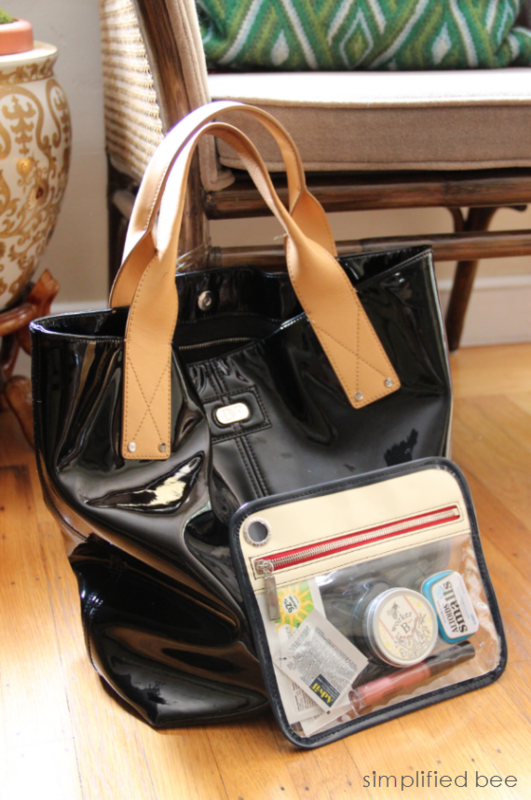 To keep my own handbag organized, I have a clear Clarity pouch inside at all times. The quality is topnotch. I also love that I can see and get to what’s inside quickly. It’s the best and I’d love for you to have one too! The kind folks at Truffle are giving one lucky Simplified Bee reader three of their products – a no 1 clarity, a skinny privacy and a mini privacy. The winner get to pick the colors (based on availability). In addition, Truffle is offering all Simplified Bee readers 20% off all purchases using promotional code: BEE20. Hurry, the discount only runs through May 16, 2014! Summer vacations, beach outings or simply lounging by the pool. Summer months have us all on the go! Keeping beach bags, suitcases and purses organized in a stylish way can be a challenge, but not anymore! 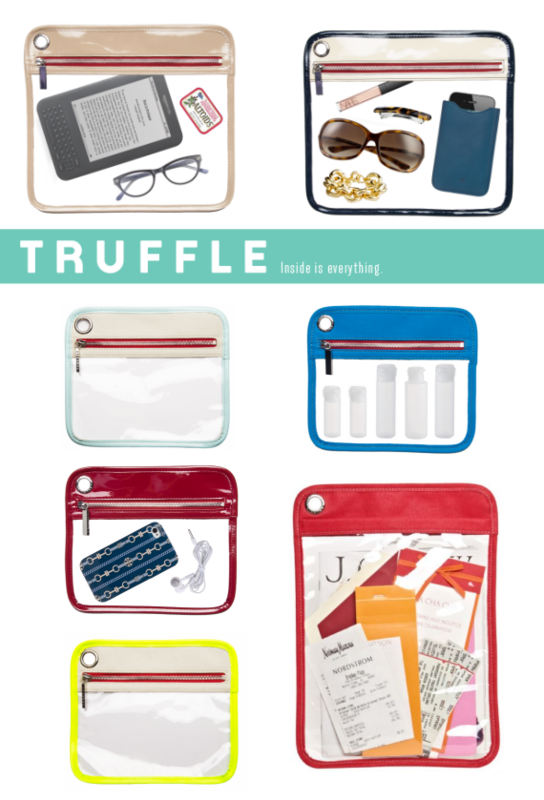 Clarity Pouches by Truffle were designed to be highly functional, versatile, reusable and stylish. The see-through pouch comes in two sizes and an array of colors to fit your needs, while the modern, high quality design compliments the chicest handbag. For frequent plane travelers, the Petite Clarity is TSA approved size for carry-on making getting through security less stressful. Recently I published beach bag essentials, but overlooked one very important piece. The sweet folks at Truffle noticed it too and sent me some pouches to try for myself. Well, I am completely sold. As you can see the petite Clarity Pouch is a perfect size to hold the little items that otherwise would get lost at the bottom of my large handbag. (and yes, I think a small child could fit in this handbag!) So if you are looking to make your handbag, carry-on luggage or beach bag effortlessly organized, while still looking super stylish, you will have to consider a Truffle Clarity Pouch. Happy Friday and Happy Organizing! * for those traveling this summer, here are tips on packing for a trip!